Continue on to check out the roster editing blog and video from EA SPORTS. 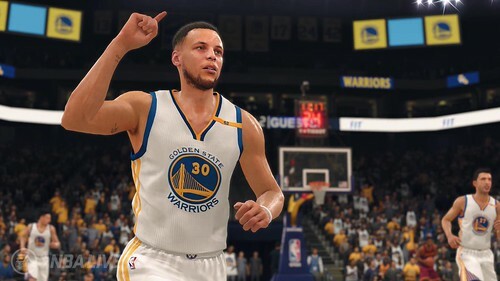 NBA LIVE fans have been asking for roster editing tools for months – and now we have them. In the latest game update, players are eligible to be edited for everything from player name to handedness to jersey number. To add to that, height, weight, position, and playstyle can also be changed. A player’s playstyle is very important as it’ll dictate the player’s ability and development patterns in the game. Each playstyle is specific to the position, so some are only available for guards, forwards, or big men. Do you think a player is better than his rating shows? If so, you can go ahead and edit the player’s skills yourself. If you think a player should be coming off the bench or playing more minutes, go ahead and change that on the player rotations menu. You really get the chance to put yourself in the game by creating players. Users can create up to 135 unique players and assign them to NBA teams. Once assigned to a team, feel free to take that player into Franchise Mode and build your way to a championship. If you regret a trade your favorite team made, feel free to reverse that trade by trading a player back. NBA LIVE 18 offers players a fully customizable, personal experience. Create your own version of the NBA as a player, coach, or GM today! Sounds like it has a lot of great options, but (at least currently) is not available in Franchise Mode. You can edit rosters and import them in to Franchise, however.